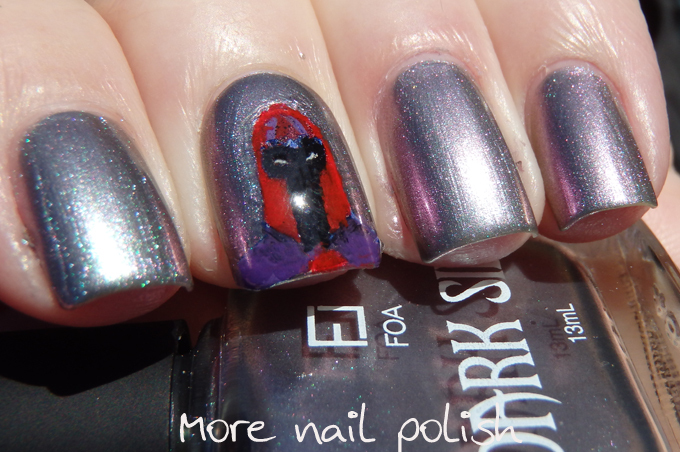 Here is part two one of my swatches of the Face of Australia Dark Side Collection. 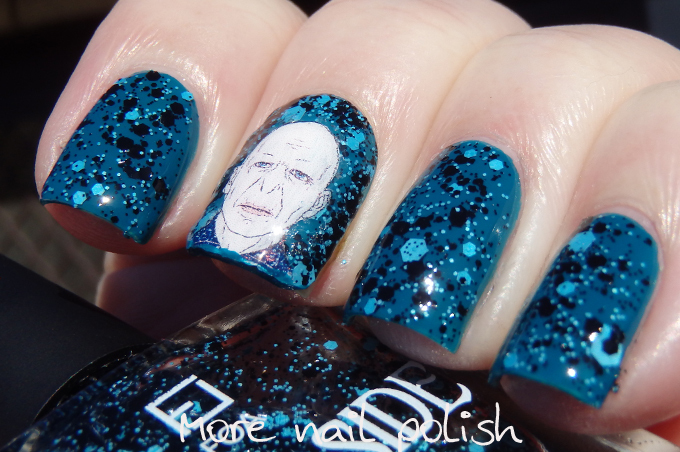 Just to recap, the nail art on the feature nail is part printed water decal and part acrylic paint. I generally coloured the design in to make it pop, except for any fine facial features which I just left as the printout. 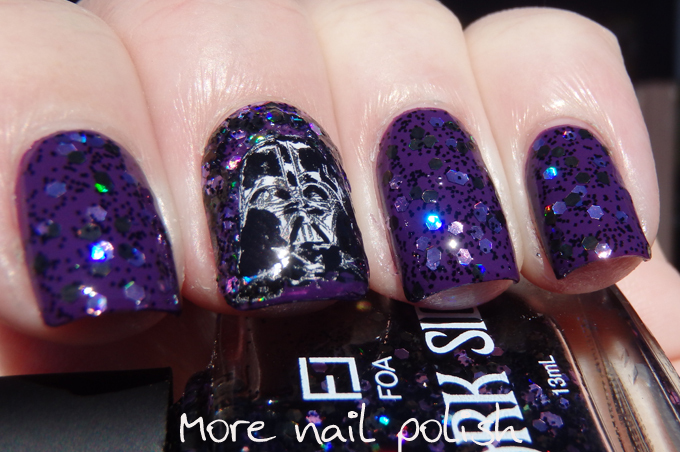 Darth Vader - an interesting mix of purple and bronze hex glitters and fine matte black glitters in a clear base. 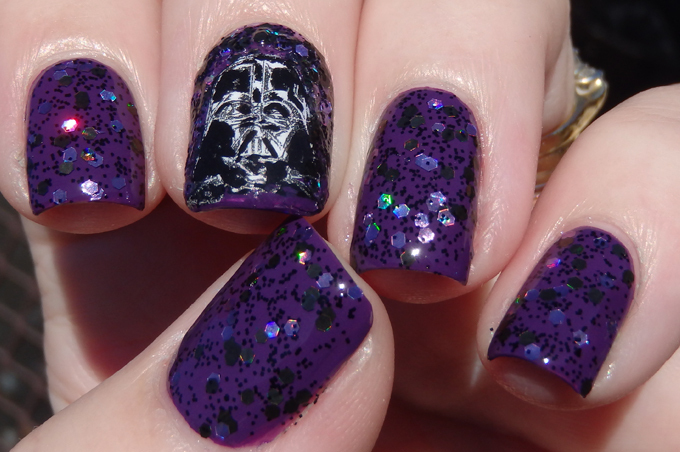 This is two thin wiped coats of Darth Vadar over Ursula, so as you can see the glitter payoff is pretty good. Nice to see an Aussie brand coming up with some unique glitter combos. 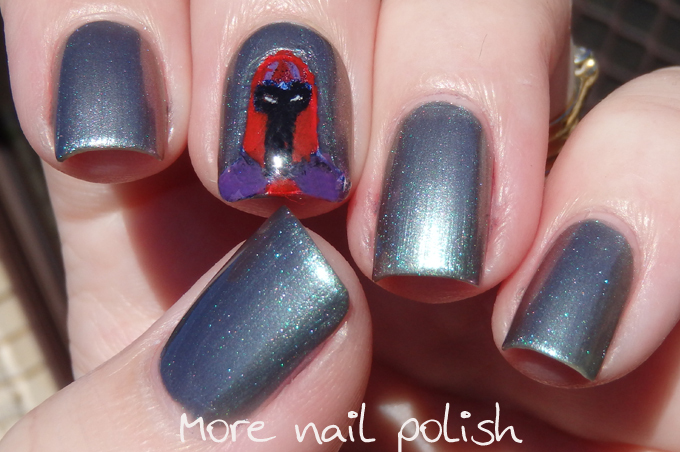 Magneto - how awesome is it that this Australian drug store brand has come out with this metallic and shiny duochrome polish at this price point. 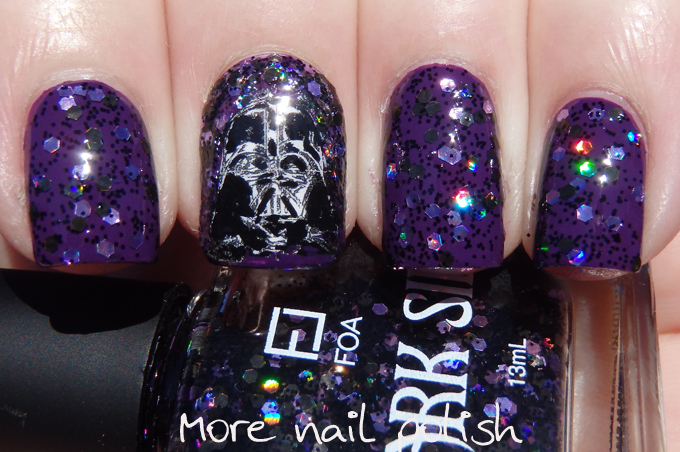 The colour reminds me of Butter London Knackered, minus the holo glitter (and the $20 price tag) because it has the same pretty green to purple duochrome shift. The I did three thin coats here. I like that it's not too brush stroky either. 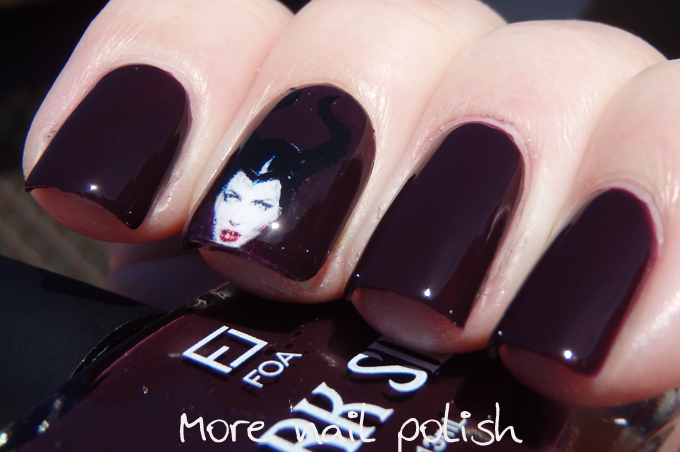 Maleficent - a very blackened plum jelly creme. 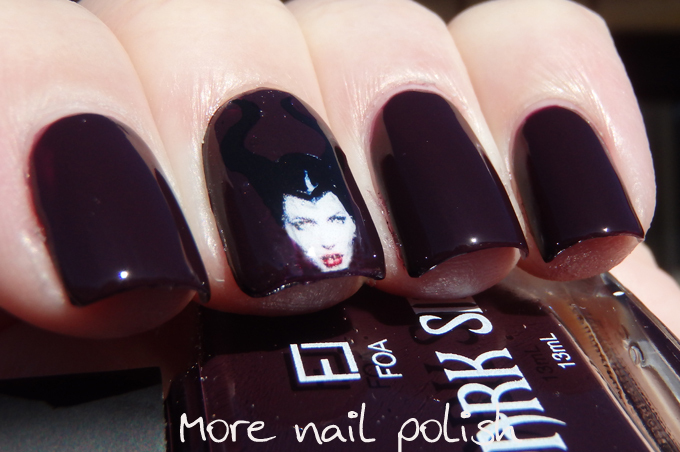 Even in full sun you can only just see that the polish has a deep plum colour, therefore in most lighting this one does look black. The jelly creme finish means you need to do three thin or two thick coats to ensure you don't see any patches, but dry time is good and the polish flows freely onto the nail. 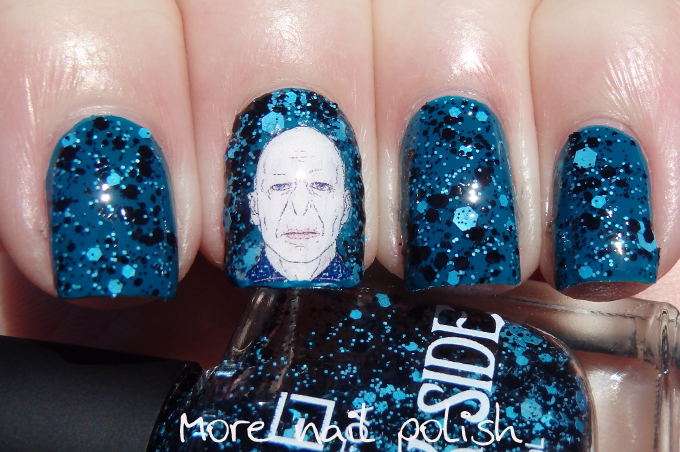 This is three coats with top coat. 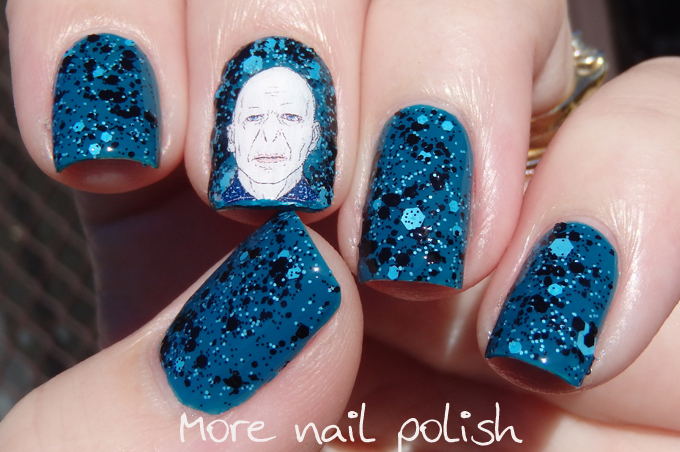 Voldemort - another glitter topper. This one has three sizes of matte aqua and black hexes. This is two thin wiped coats shown over Mystique. Again the glitter payoff was really good. 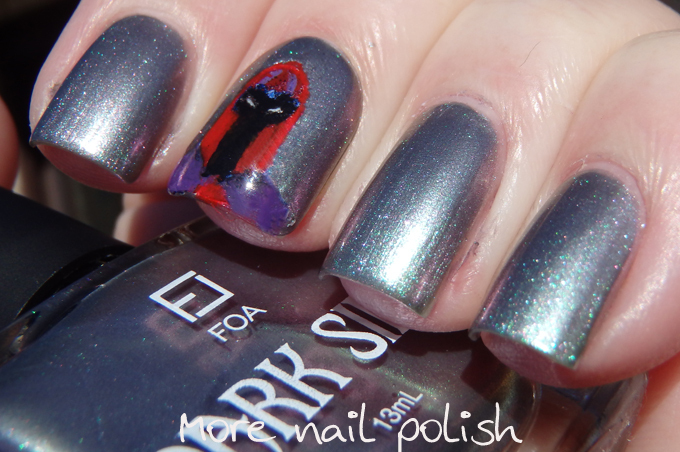 This polish seems to have the perfect undies in Mystique from the collection too. I really loved this combo. Both the glitter polishes dry a little bumpy due to the thickness of the matte glitters, but at least they aren't curling. 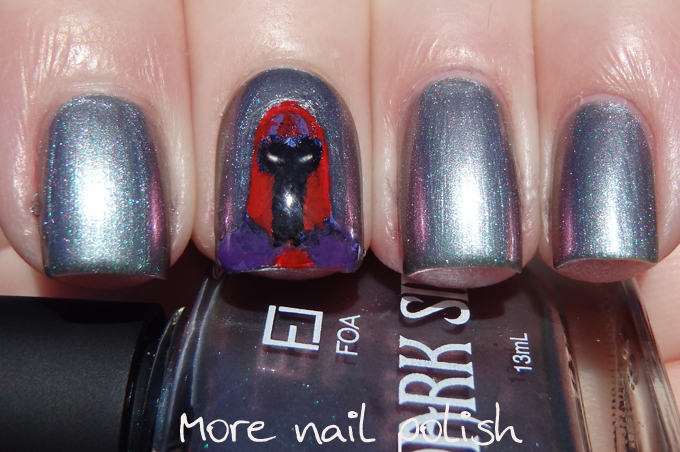 I used one layer of top coat for these photos, but if wearing them in a full mani I would wear two layers of top coat to get a glassy smooth finish. 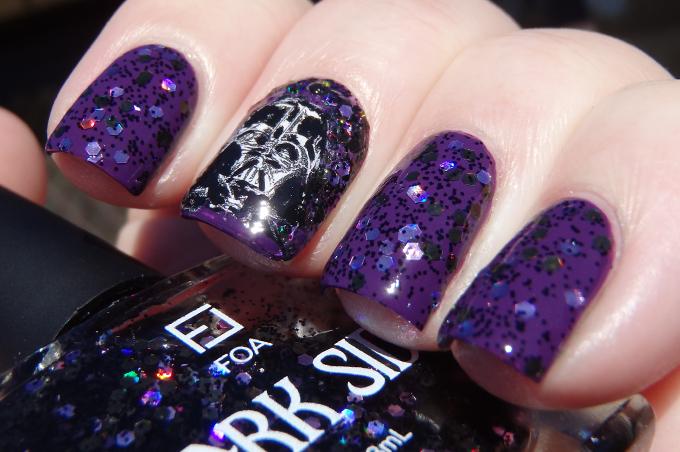 The Face of Australia Dark Side collection is available from selected Priceline Pharmacy, Big W stores and online at Fashion Addict. 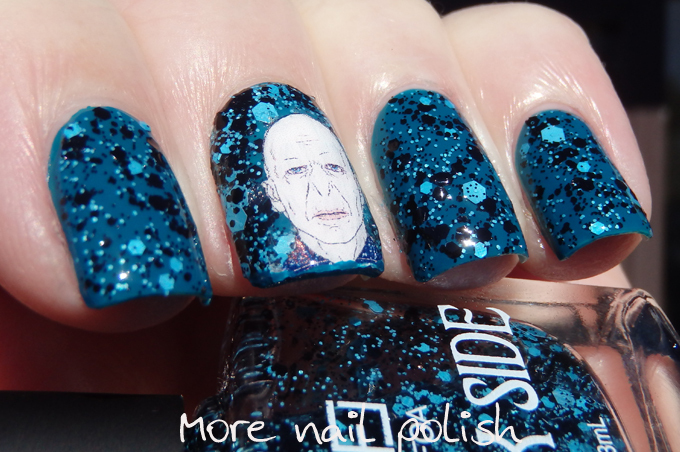 Love the "He who shall not be named" one. Lol! 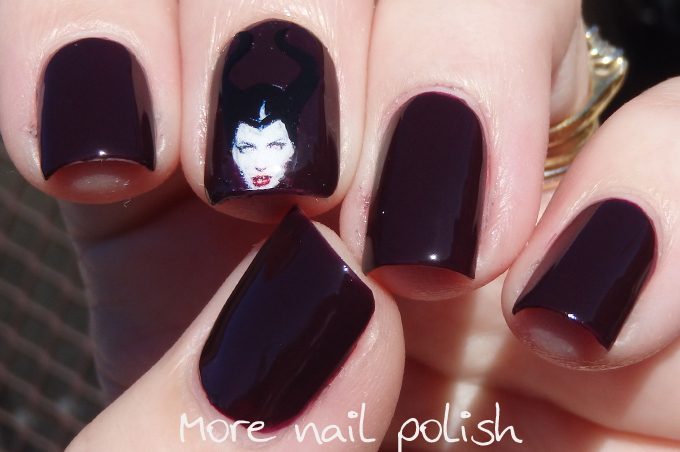 I love all these nail polish designs!